Come out for this FREE family friendly event! Due to the cost of the movie viewing license any donations to help offset that cost are greatly appreciated! Thank you to everyone that came out for the Whitmore-Bolles Splash Pad Grand Opening! It turned out to be a beautiful day, and a great day for our neighborhood. 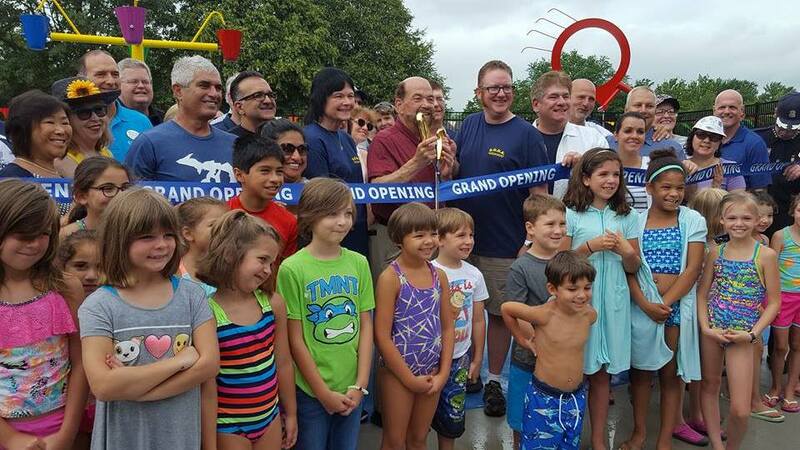 The Pad was packed with kids and adults for the ribbon cutting. Thank You to Recreation & Parks Director Greg Orner & Mayor O'Reilly for including SODA in this celebration. 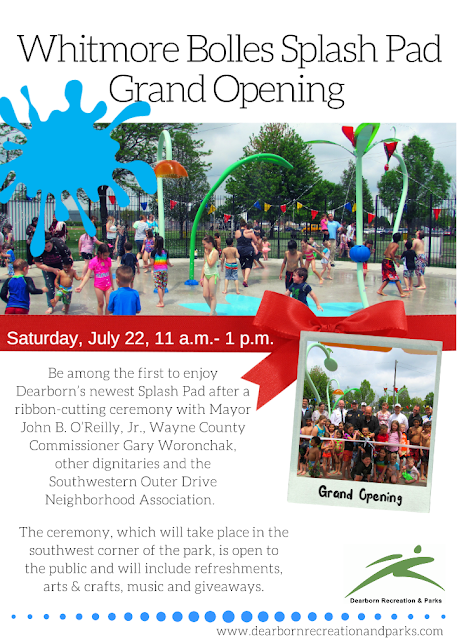 A Special Thank You to Wayne County Commission Chairman Gary Woronchak who helped secure funding that made this amenity possible for our neighborhood. 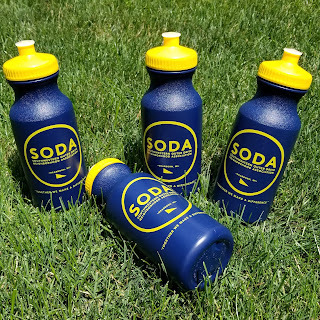 Come get one of these cool water bottles and show off your neighborhood pride all summer long! with Mayor O'Reilly, Gary Woronchak, and SODA. 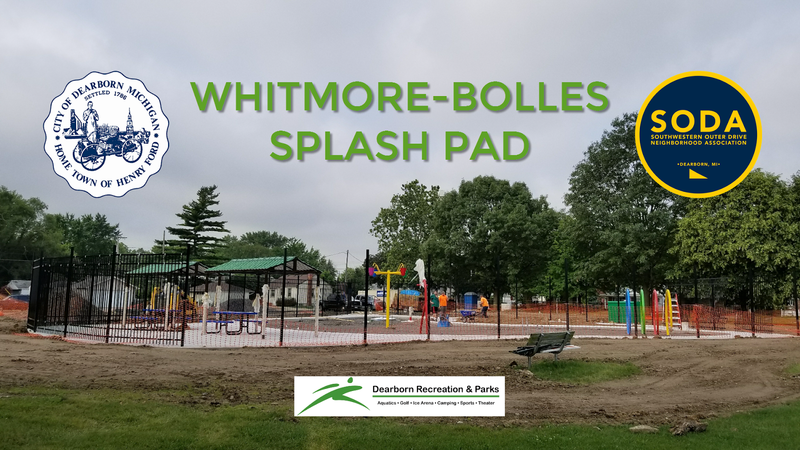 Come out for a community picnic in celebration of the opening of the new Whitmore-Bolles Splash Pad! The City will be providing hot dogs and drinks, music, and children type games. SODA will be passing out custom water bottles to help you keep cool and hydrated all summer along. SODA does not have general meetings during the summer months. Come out and visit with your neighbors in the park. This event will take place instead of our SODA Summer Saturday event.